Fares on Crossrail's Elizabeth Line will match Tube prices across most of London, but Heathrow passengers will be charged a premium, it was announced today. Travelling between the airport and zone 1 in central London at peak times will cost £12.10 - £7 more than the same journey on the Piccadilly line. Passengers travelling between zone 2 and the airport will pay a Heathrow premium of £4.50 compared with the Tube. Crossrail journeys everywhere else within zones 1-6 will cost the same as pay-as-you-go fares on the Tube. The Heathrow to Paddington peak Crossrail fare of £10.20 is less than half the cost of the £27 standard fare on the 15-minute Heathrow Express shuttle, though the Crossrail journey will take about 10 minutes longer. Peak fares apply between 630am-930am and 4pm-7pm. 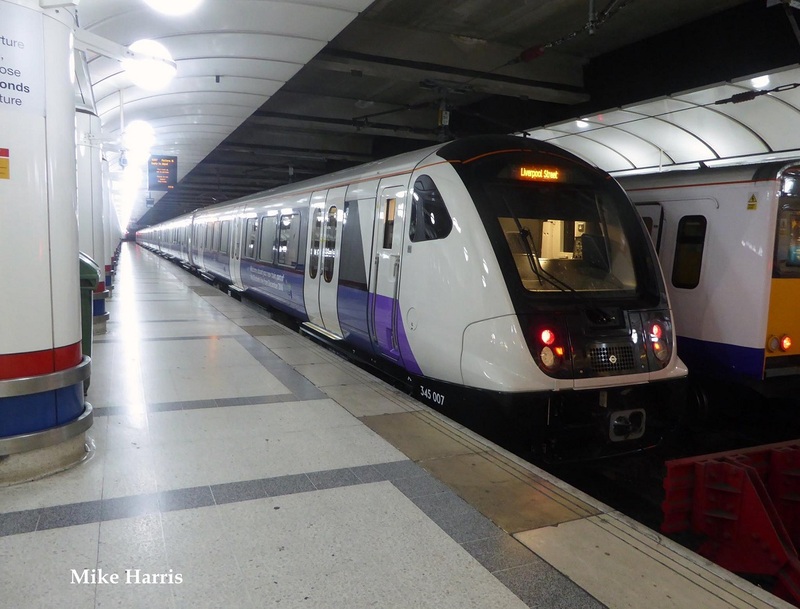 Crossrail services between Paddington and Heathrow will replace the Heathrow Connect trains, and be 10p or 20p cheaper, depending on the time of day. Crossrail, to be renamed the Elizabeth line when it opens under central London in December, will add 10 per cent capacity to the transport network and offer a quicker alternative to the overcrowded Central line. Transport for London hopes it will boost revenues by more than £200 million a year but admits some Tube passengers will switch to the new line, which will eventually link Reading with Shenfield and Abbey Wood via two new tunnels under central London. There have been 44 million fewer journeys on the Tube in 2017/18, reducing TfL income £89 million below expectations. The opening of the £14.8 billion line will mean Oyster and contactless fares will be accepted on rail services to and from Heathrow for the first time. As with the Tube, children under 11 will travel for free. Londoners aged 60 and older will also travel free. Daily fare capping means that someone arriving at Heathrow and using Crossrail to reach central London will pay only 40p more for the rest of their Tube and bus travel that day, as the daily Oyster or contactless charge will be limited to £12.50. Heathrow Connect will switch to Crossrail on May 20, bringing the slightly cheaper fares and Oyster and contactless ticketing at the same time.